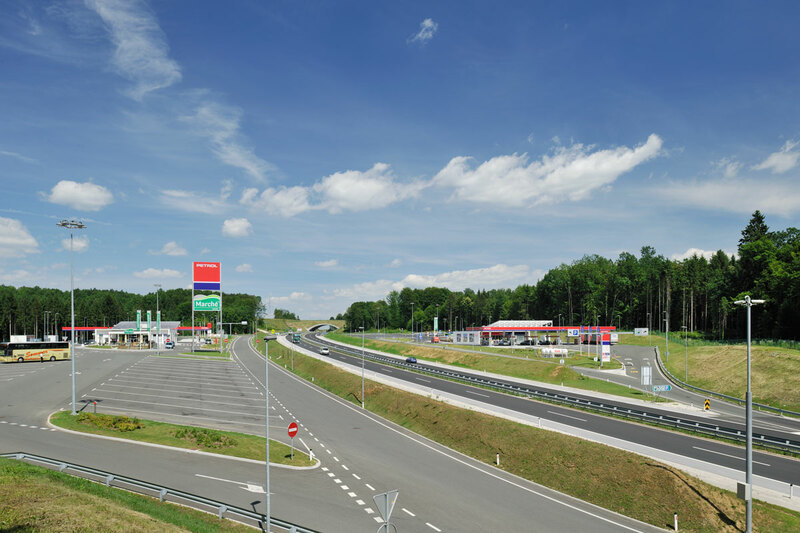 Project documentation for the erection of service stations Starina north and south was prepared for the owner Petrol d.d. The service stations include two separate functional units each. 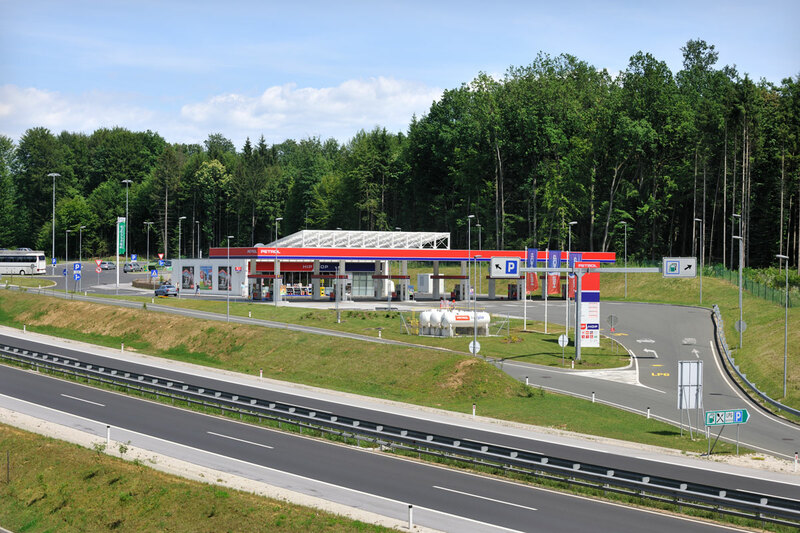 The first unit is a petrol station; the second unit is a platform with a parking lot and a rest area. The scope of development is identical for the northern and southern station. 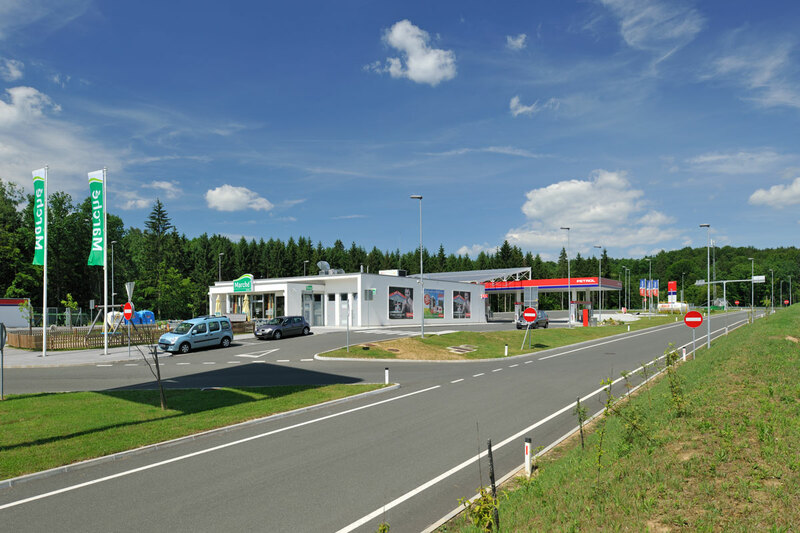 Each petrol station is designed as a ground-floor reinforced-concrete building with a flat roof (OK). The total surface area of 475.45 m² includes a convenience store with a snack bar, auxiliary rooms and toilet rooms for the staff and visitors. Adjacent to the building there is a canopy and a filling platform with six filling islands, a terrace with a children’s playground is arranged on the other side. The external arrangement of the petrol station includes 25 parking lots for personal vehicles. A large area with a parking lot accommodates 14 heavy trucks, 10 buses and campers and 28 personal vehicles. The area provides a plug-in for campers and a rest & recreation area. The area with the parking lot and the rest area connects to the servicing road at the leftmost part of the service station. 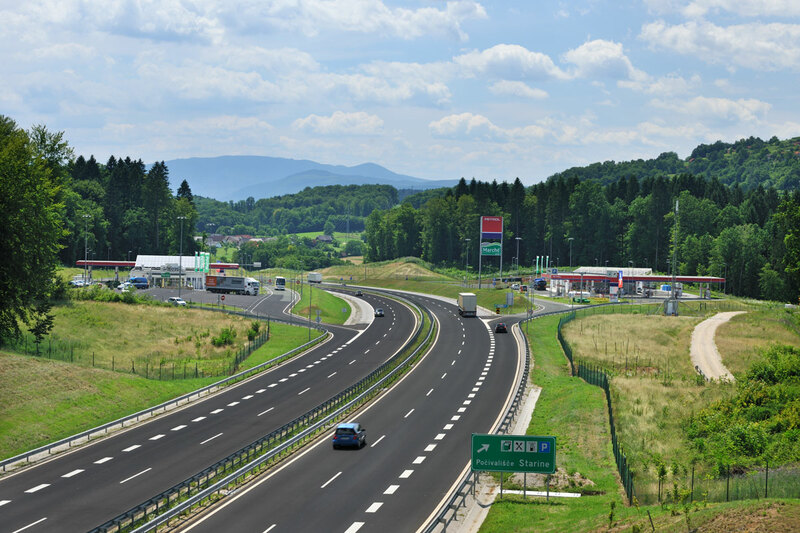 Project typeBencinski servis in plato s parkirnimi prostoriLocationA2 Karavanke–Obrežje; odsek Novo mesto vzhod–Kronovo: pododsek Lešnica–Kronovo od km 9+360,00 do km 9+760,00, SlovenijaArea32,000 m²Inv. value€3,950,000.00Year(s)2008ServicesIDP, PGD, PZR, PZI, PID, vodilna mapa, načrt gradbenih konstrukcij, načrt zunanje ureditveInvestorPetrol d.d., DARS d.d.